You've had the opportunity to soak in the fabulous prints from Modern Quilt Studio's Printology collection this week, and now we have some quilty goodness to share! Bill Kerr and Weeks Ringle centered issue #13 of their magazine, Modern Quilts Illustrated, around Printology, and we're showing you those quilts today. Click here to order this issue. You'll find four quilts in the issue, and a fifth quilt is available as a free quilt pattern on our website. 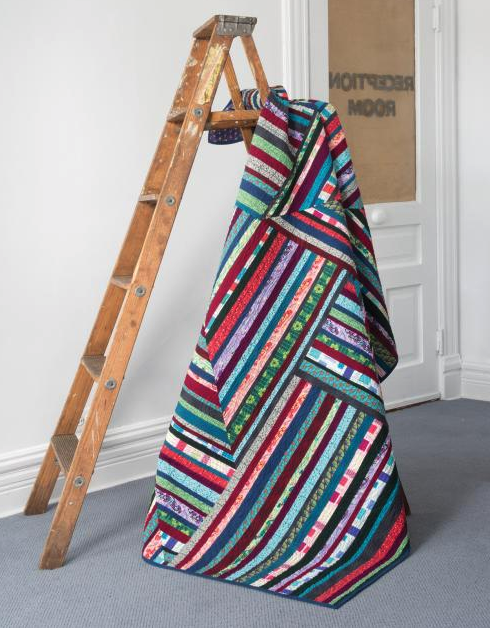 Enjoy Bill and Weeks' virtual trunk show of their Printology quilts! Weeks: We wanted a quilt with a bit of depth. We liked the idea of having the diamond pattern, but also having those horizontal bands behind it. The gray checkerboard fabric is critical to making those bands appear. Bill: The range of value in the line comes to play here. You can’t achieve those transparency effects without it. Click here for the Dress Up kit. Weeks: I wanted a quilt that really showed off all the prints, and I also wanted to find a fun role for the little red checkerboard. It’s the tiny ½” square at the end of alternating rows and the center of the opposite rows. Bill: Weeks freehanded the quilting on Dress Up. It has such wonderful texture that plays so well with the drawings in the fabrics themselves. 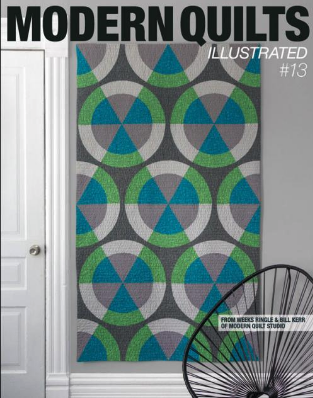 Click here to order Modern Quilts Illustrated #13, featuring four of Bill and Weeks' Printology quilt patterns. Click here for the Billiards kit. Weeks: We both adore this quilt. 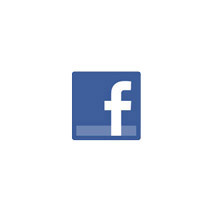 It’s my favorite since On the Dot. It shows the little checkerboard prints can be used in big chunks even though they’re a small scale pattern. Bill: Without a doubt, this is my favorite in the magazine. I pulled out a design I made a decade ago; Weeks made two changes to it and came together. We finished it with a French pillowcase binding technique (so you don’t see the binding on the front). Click here for the Framed kit. Bill: I love sewing strips together. We combined Printology with Benartex’s Shadow Blush collection (which reads as solids). It’s a matter of just sewing yardage and using it in large chunks. The angles in it are really dynamic—you have giant mitered corners from two different strip sets, so there’s no matching of seams—it’s really forgiving. 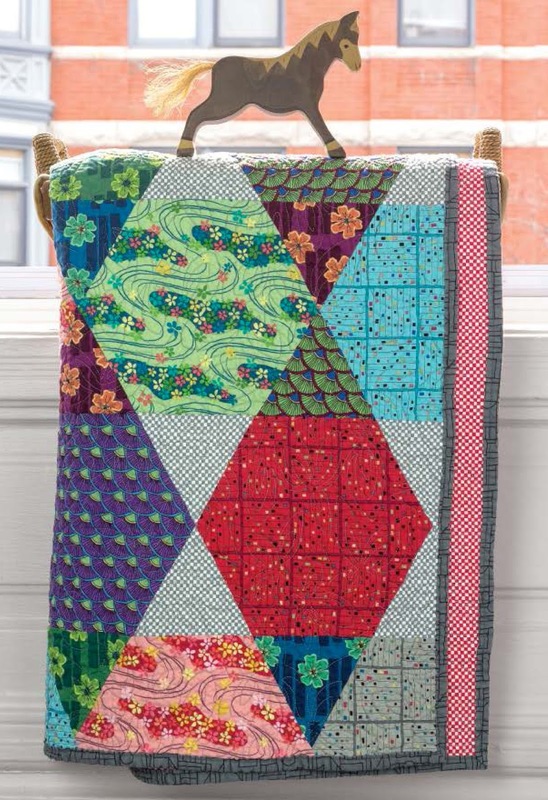 What I love about a quilt like this is that no two will ever be the same. Weeks: You get a scrappy look within the fabric line. Plus the sewing of all those seams will help you learn how to control fabric under the foot, which is everything in quilting to me. Bill and Weeks also designed a free quilt pattern for Printology. Click here for the Follow the Leader kit. 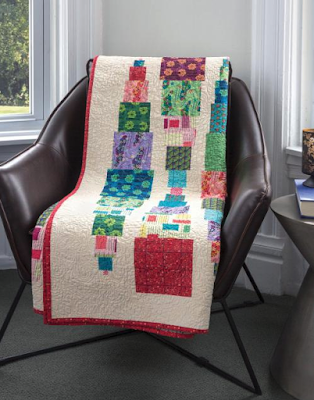 Weeks: This is such a versatile quilt to show off medium to large scale prints. The little black and white checkerboard quilt looks awesome between the blocks—exactly the way we envisioned it, as a fun accent that contrasts wonderfully with the rest of the line. 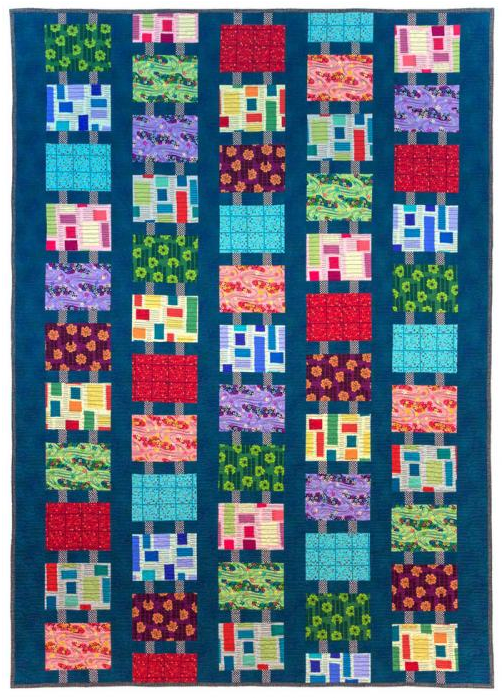 Click here to visit Modern Quilt Studio's website. Click here to read the interview with Bill and Weeks about Printology. 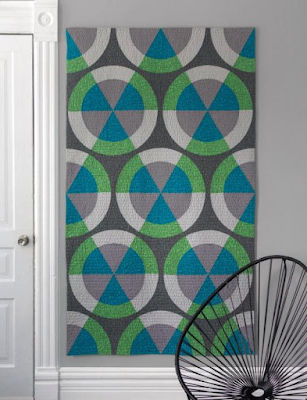 Stop by next week to see one more quilt designed by Bill and Weeks featured in our new issue of Modern by the Yard!